Barcelona advertising agency Iskiam Jara is sharing blood with potential clients in “Aqui esta nuestra sangre”, translated in English as “Here is our blood”. 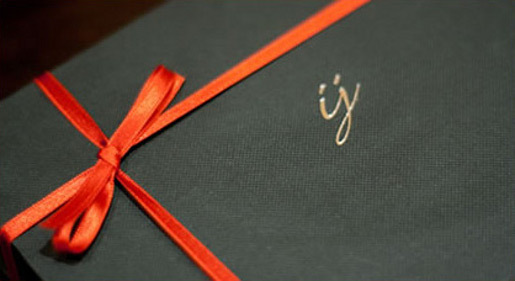 The campaign, online at Feliz2010, involved a gift wrapped box filled with vials of blood from members of the Ishiam Jara creative team, sent to 50 current and potential clients. 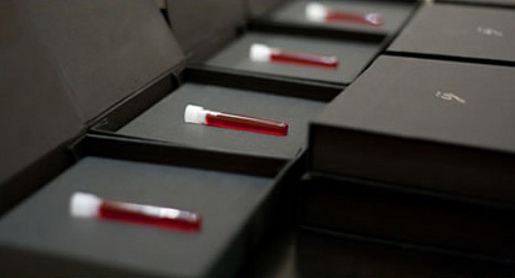 So what do you do with a box of blood vials? 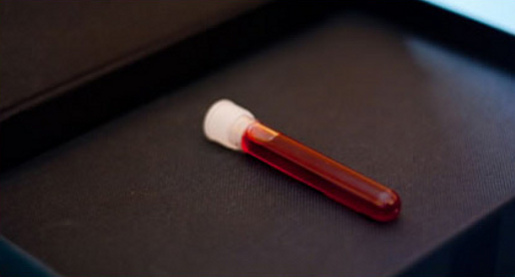 Share or trade with your vampire friends? “Before it was believed that creativity was an indefinable concept, but research shows that this is a natural activity which is influenced by genetic, environmental and chance factors. It is something stable, long-lasting and exclusive of each human being. For this reason, we wish to share our DNA with you, in order that in this coming year you have us at your side. We are going to bleed for you. You decide, clone us or have us”. The Sangre campaign was developed at Iskiam Jara, Barcelona, by creative director/art director/copywriter Iskiam Jara, producer David Herror and Carmen Vidal.